This blog showcases new products as well as prototypes and ideas that are in the works. If you see something you like or have a question, please don't hesitate to contact us! This is the latest working prototype of our Modular Belt System. As a recap, the system consists of three different components; the Sleeve, the Inner Belt and the Liner Belt (not shown, but available HERE). The result is a lightweight, low profile platform that is comfortable and extremely functional. 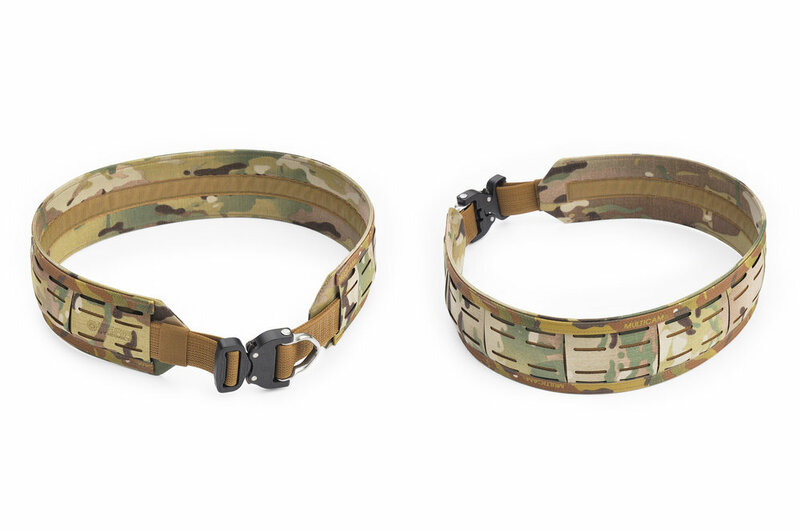 The user can add any PALS compatible pouches directly to the sleeve or the inner belt can be routed outside the sleeve to allow belt mounted accessories to be attached. Since the previous post, we've added sub-load access slots on the left and right to allow popular low and mid ride holsters to attach seamlessly to the inner belt. The overall length was also shortened by approximately 2" by deleting the vertical 1" webbing straps.